Read the back of your toothpaste – fluoride IS poison. if there’s doubt – GET IT OUT! What is put into our water is not the element that occurs naturally in nature called fluoride. What they put into our water is called fluorosilicic acid, which is actually a toxic waste product produced in the smokestacks of phosphate plants. If they weren’t selling this substance to cities, they would have to pay a lot of money to have it handled as an environmental hazard and buried in EPA-approved landfills. It is illegal to take this fluorosilicic acid and bury it in the ground or dump it in rivers or streams in this country, but it is perfectly legal to sell it to cities that drip this known poison into the water supply with the intended purpose of it being ingested by human beings. I am sick of having no other option other than to bathe my children in poisoned water. I am sick of lugging heavy glass gallons of water home every other day – simply because I have to buy clean water elsewhere..the water that I pay for..the water that pours from my kitchen sink is poisoned. They call them “wet scrubbers” – the pollution control devices used by the phosphate industry to capture fluoride gases produced in the production of commercial fertilizer. In the past, when the industry let these gases escape, vegetation became scorched, crops destroyed, and cattle crippled. Today, with the development of sophisticated air-pollution control technology, less of the fluoride escapes into the atmosphere, and the type of pollution that threatened the survival of some communities in the 1950s and 60s, is but a thing of the past (at least in the US and other wealthy countries). However, the impacts of the industry’s fluoride emissions are still being felt, although more subtly, by millions of people – people who, for the most part, do not live anywhere near a phosphate plant. That’s because, after being captured in the scrubbers, the fluoride acid (hydrofluorosilicic acid), a classified hazardous waste, is barreled up and sold, unrefined, to communities across the country. 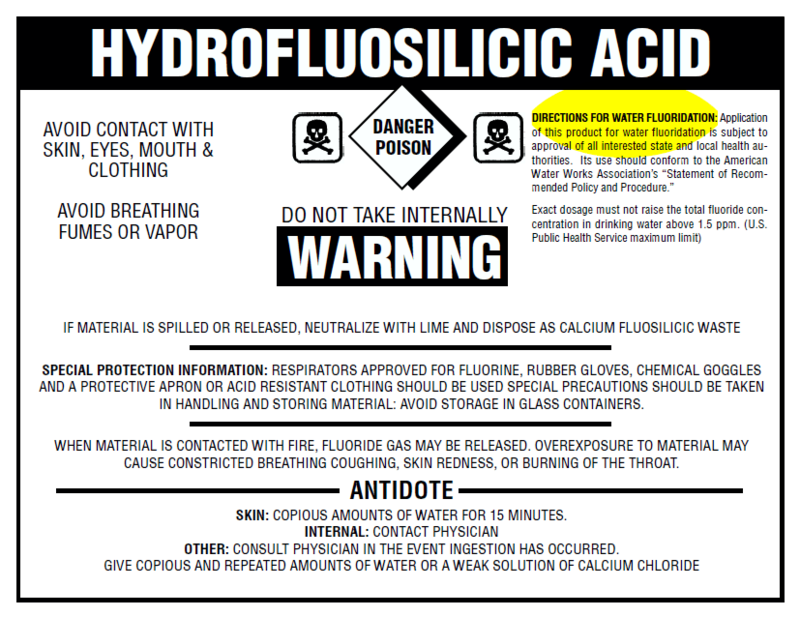 Communities add hydrofluorosilicic acid to their water supplies as the primary fluoride chemical for water fluoridation. and just in case you cant read what this letter says..
*ohhh I see..somehow the same stuff that pollutes the environment becomes ok after it is added to the water that we drink and give to our children. If this stuff gets out into the air, it’s a pollutant; if it gets into the river, it’s a pollutant; if it gets into the lake it’s a pollutant; but if it goes right into your drinking water system, it’s not a pollutant. That’s amazing… There’s got to be a better way to manage this stuff. Read just a few of these quotes..the following statements are all quotes from the National Research Committees scientific review of EPA standards on water fluoridation. The significance of these Chinese studies is uncertain.. Despite this, the consistency of the collective results warrants additional research on the effects of fluoride on intelligence in populations that share similar languages, backgrounds, socioeconomic levels, and other commonalities. Side personal note: this was published in 2006. No studies have been conducted in the US to follow up on this. Does anyone else not think that these findings are important? WHY haven’t they done a follow up study? WHY is the fluoride program more important to our government than our children? Why are people not alarmed that there have been multiple studies completed that had the same the results: the more fluoride – the lower the IQ. Are people not concerned that fluoride could be hindering the future success of entire generations? It should be noted that many factors outside of native intelligence influence performance on IQ tests. One factor that might be of relevance to fluoride is impairment of thyroid gland function (see Chapter 8 for more on thyroid issues). For example, hypothyroidism produces tiredness, depression, difficulties in concentration, memory impairments, and impaired hearing. In addition, there is some evidence that impaired thyroid function in pregnant women can lead to children with lower IQ scores (Klein et al. 2001). Personal side note: great..so we are damaging children’s IQs two different ways now. I will just share this one quote on fluoride and thyroid disease. Is is from chapter 8..there is a lot of reading and studies to look at on this connection. There are numerous reports of mental and physiological changes after exposure to fluoride from various routes (air, food, and water) and for various time periods (Waldbott et al. 1978). A number of the reports are, in fact, experimental studies of one or more individuals who underwent withdrawal from their source of fluoride exposure and subsequent re-exposures under “blind” conditions. In most cases, the symptoms disappeared with the elimination of exposure to fluoride and returned when exposure was reinstated. In some instances, when the fluoride was given in water, this procedure was repeated several times under conditions in which neither the patient nor the provider of the fluoride knew whether the water contained fluoride. Also reported are instances when fluoride-produced symptoms occurred when people moved into a community with fluoridated water but disappeared when the individuals moved to a nonfluoridated community. the next things documented are truly scary for any mother to think about. Personal side note: I am skipping around a bit here but what I want to show you now, ties in to what is mentioned above..how fluoride increases a childs exposure to toxins. This awesome article explains..
silicofluorides, as obtained from the scrubbers of the phosphate industry, contain a wide variety of impurities present in the process water – particularly arsenic and possibly radionuclides. While these impurities occur at low concentrations, especially after dilution into the water, their purposeful addition to water supplies directly violates EPA public health goals. For instance, the EPA’s Maximum Contaminant Level Goal for arsenic, a known human carcinogen, is 0 parts per billion. However, according to the National Sanitation Foundation (see this link for document ), the addition of silicofluorides to the water supply will add, on average, about 0.1 to 0.43 ppb, and as much as 1.6 ppb, arsenic to the water. Ok getting back to the EPA fluoride document..
For anyone that has made it to this point..i have a question for you. Even if all of this evidence was wrong…is it still worth the risk just to “prevent cavities?” Most of Europe doesn’t fluoridate their water and tooth decay and cavity rates are the same as in the US. 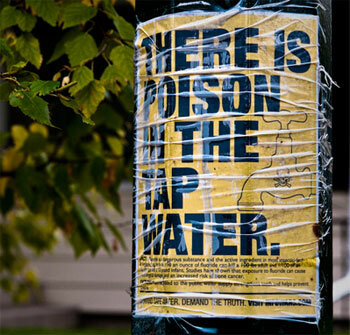 We need to stand up and demand that this poison is taken out of our water. This isn’t a conspiracy. Everything you just read came from a scientific review of the EPA’s standards for fluoride in our drinking water. The government is aware of how toxic this stuff is. GET IT OUT OF OUR WATER. If people want to take fluoride then let them buy it and administer it themselves. STOP FORCE MEDICATING SOCIETY with a substance that is a well known TOXIN. If enough people called city hall tomorrow or went down to city hall things would eventually change. It is time we demand change. It is black and white! Fluoride is poison and if even if it wasn’t..if one study showed that it could hurt our children then it shouldn’t be in our water. I urge you to call city hall tomorrow..call your representative or congressmen. Our voices have got to be heard on this issue…WHEN IN DOUBT – GET IT OUT! Fluoride is a hazardous waste. It is against the law to dump the same chemicals into the ocean or waterways because it will kill the marine life..yet they dump it into the water that we are to consume and give to our children. Some side effects of fluoride exposure are – lowered IQ, thyroid disease, bone disease, cancer, dental fluorosis, a weakened immune system. Austria: Toxic fluorides have never been added to the public water supplies in Austria.” SOURCE: M. Eisenhut, Head of Water Department, Osterreichische Yereinigung fur das Gas-und Wasserfach Schubertring 14, A-1015 Wien, Austria, February 17, 2000. Belgium: “This water treatment has never been of use in Belgium and will never be (we hope so) into the future. The main reason for that is the fundamental position of the drinking water sector that it is not its task to deliver medicinal treatment to people. This is the sole responsibility of health services.” SOURCE: Chr. Legros, Directeur, Belgaqua, Brussels, Belgium, February 28, 2000. Denmark: “We are pleased to inform you that according to the Danish Ministry of Environment and Energy, toxic fluorides have never been added to the public water supplies. Consequently, no Danish city has ever been fluoridated.” SOURCE: Klaus Werner, Royal Danish Embassy, Washington DC, December 22, 1999. Finland: “We do not favor or recommend fluoridation of drinking water. There are better ways of providing the fluoride our teeth need.” SOURCE: Paavo Poteri, Acting Managing Director, Helsinki Water, Finland, February 7, 2000. Most developed nations do not fluoridate their water. In western Europe, for example, only 3% of the population consumes fluoridated water. ), Spain (11%), South Korea (6%), the United Kingdom (11%), and Vietnam (4%). Only 11 countries in the world have more than 50% of their population drinking fluoridated water: Australia (80%), Brunei (95%); Chile (70%), Guyana (62%), Hong Kong (100%), the Irish Republic (73%), Israel (70%), Malaysia (75%), New Zealand (62%), Singapore (100%), and the United States (64%). all it would take is enough people to get angry..and that switch would turn. this weekend was wonderful. my parents, my brother and his family, and my family went to myrtle beach for a family vacation. now, i am not going to say that it was all peaches and splendidly creamy..WOW, the beach becomes a whole new playing field when children are involved. All the diapers, sunscreen, bottles and baby whatnot that has to be dragged around makes that sun and sand a bit more annoying. needless to say, we still had a great time and I really enjoyed getting to take a break. Spending time with my family is something that, in the past, I have loathed..but now, it is something that I treasure. In past K (i wont say my whole last name..im not trying to get killed by some internet crazy person) family vacations things have sometimes been a struggle..to say the least. The last big vacation that we took.. my brother and I ended up having a full blown fight at a rest stop. We were almost home..and that last bathroom stop proved to be our breaking point. My dad had to pull the van over to the side of the rest stop exit ramp so me and Lee could duke it out. The scene of me and Lee rolling around on the ground is something that brings my family great laughter now..but still, the same scenario could very much so happen again. that same spirit of who gets the remote..or who gets to sit in the good chair can still come out when there are siblings involved no matter how old you are. everything went smoothly as possible during our vacation..until today at lunch. We all met for lunch right before parting ways to go home. For a brief moment my brother and I almost got into it. Thankfully, we worked it out and a disaster was avoided. Throughout the whole vacation, everywhere that we went..my actions of avoiding water with fluoride was obvious and unavoidable. Fluoride is not good for us. I will flat out say it..I really dont care what people think of me because I know that if they did their own research they would most likely come to the same conclusion. Now you may have different opinions on it..but., most likely, you probably dont have an opinion on it at all. I mean who thinks about fluoride? who cares? ummm..this girl does. im not really sure why my brother and I butted heads about it today..but,I guess that my opinionated ways just got a little annoying to him. (i am not surprised by this because I am pretty obnoxious) I dont even remember how it started..but, I got upset because members of my family were saying things that belittled my opposition to fluoride.. things that I took as trying to make me feel stupid for going the extra mile to drink water that was fluoride free. What upset me was really not the fact that they did not agree..what upset me was the fact that they so easily brushed off about something that I feel so strongly about..something that I want them to know as well, for the benefit of their health. The fact that so many people do not care about something as obviously negative and medically wrong as the forced medication that our government pushes upon us through putting fluoride (a drug) into our water is something that drives me insane..and my family not supporting my feelings is just hard for me to swallow. Family is supposed to be a support system..and it just upset me that I could not even be taken seriously by the only people in this entire world who i have to really fall back on. Now, dont get me wrong..my family loves me, that is something that I do not question. I just wish that they would believe me enough to take my viewpoint into consideration instead of joking about it at my expense. One thing my brother ( who i really do love dearly 🙂 said to me today was, “have you come to this conclusion by doing more research than watching one video.” I can understand were he is coming from because fluoride being in our water is something that most of us do not question. I mean, it is in our water because the powers that be put it there. 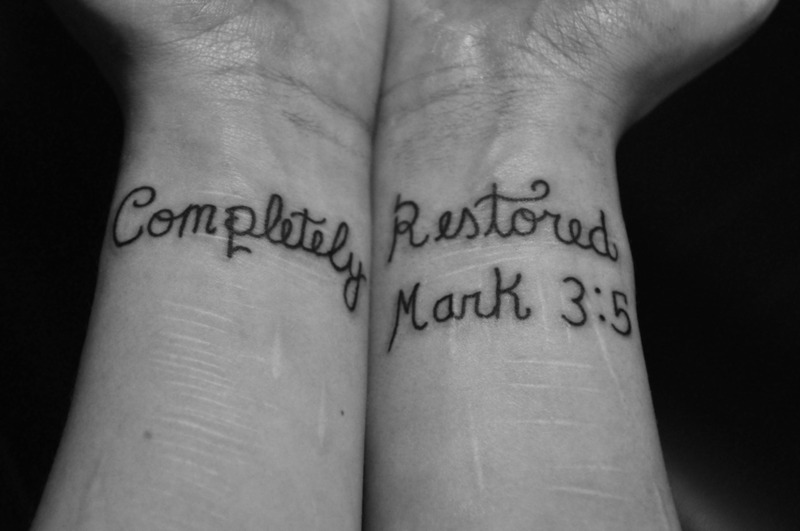 Well tonight.. as I searched around trying to figure out how I could make my viewpoint a little more relevent I found exactly what I was looking for. I have sent my family emails containing my findings and I hope that what I sent will be enough to cause concern so that they will do some serious research on their own. Hopefully it will make sense to you as well. How wonderful is breast milk? Breastmilk is a miracle substance that even modern science cannot copy. God created breast milk..that is why science cannot duplicate it. Science cannot touch God. Do you know that human breastmilk contains a very small amount of fluoride? The fact that the body of a nursing mother filters fluoride from reaching her milk speaks volumes to me..I would hope it would to any christian who understands that all good things come from God. God isn’t going to hurt us. As a study published by the US National Library of Medicine National Institutes of Health (click here for the article) says..
so what does that show us? No matter how much fluoride that a nursing mother may consume.. her body will filter it and keep it away from her breastmilk. Some may say that fluoride naturally occurs in nature so it is from God..however, the chemicals in our water are not the element that naturally occurs in nature..as the Salt Lake Tribune shares in the following..what is in our water is by no means natural..
if that isnt enough..will you please allow me to go on and share more about the dangers it may cause. this is from an article I found on PRNewswire. The second link at the bottom of the this entry will take you to the article if you would like to read the entire thing. “Fluoridation clearly jeopardizes our children and must be stopped,” says attorney Paul Beeber, President, NYSCOF. “We can actually see how fluoride has damaged children’s teeth with dental fluorosis; but we can’t see the harm it’s doing to their brains and other organs. No U.S. researcher is even looking,” says Beeber. ok..so are you starting to see anything wrong with this picture..or at least seeing this as something to feel some concern about? All that said, the only point that I wanted to make here..was that God created our bodies to remove fluoride from what we feed our children. Does that say anything to you? I am so passionate about all this because I truly believe that this stuff is hurting our bodies..our God given temples. The list goes on and on about why this stuff is not good for us but I will just end this with some links and you can do some research on your own if you feel the need to do so. Posted in Fluoride is bad for you, what's wrong with this world! This post will just share some different articles that I have found on the dangers of fluoride. Many people, myself included.. until just recently, never think twice before filling a glass up with water from the tap and taking a big ole swig of it. I know we are so blessed to live in a country that water is so convenient when, at this very moment, there are millions of people walking great distances and struggling just to have dirty contaminated water to drink..but that is a different tragic matter all together. I am trying not to be ungrateful for the blessings I have.. for some reason or another God decided that I should be born into a country that is blessed with water..so I am thankful, but I am also entitled to be upset because my family and I are being unethically medicated without choice. I am not going to write much..i am just going to share some information from articles. This is obviously my opinion and in no way am I forcing anyone to read this..but staying informed on a matter that numerous studies have shown to be harmful is important..at least it is to me. My main objections to fluoride are simple..the water i pay for is full of the toxic by-product of the fertilizer and aluminum industry (not the naturally occurring fluoride that many think is in their water).. even after 50 years of research, the FDA still rates it an “unapproved drug”..it is illegal to dump the SAME chemicals that fluoridate our water into the ocean (if something is too harmful to fish..why the heck is it ok for my children to be exposed to it! )…and finally even if it is beneficial to teeth (which if you read below you will see some of the most recent findings that show the supposed benefits of fluoride are untrue) I should be given the choice to take it..dont worry about my teeth..theyre MY teeth! I am tired of spending money on gallons of water just so my family wont be exposed to fluoride. Please dont automaticly close your mind to this just because of what youve been told. Do your own research and please let me know your thoughts below. Fluoridation is the practice of adding a fluoride compound to the public drinking water supply ostensibly for the purpose of fighting tooth decay. The levels used range from 0.6 to 1.2 milligrams of fluoride ion per liter (or parts per million, ppm). The practice began in the U.S. in 1945 and was endorsed by the U.S. Public Health Service (PHS) in 1950. Very few countries have adopted this practice to any significant extent. Only eight countries in the world have more than 50% of their populations drinking artificially fluoridated water (Australia, Colombia, Ireland, Israel, Malaysia, New Zealand, Singapore, and the U.S.). In Europe, only Ireland (with 73% of the population fluoridated), the U.K. (10%) and Spain (10%) fluoridate some of their water supplies. In the U.S., about 70% of the population is drinking fluoridated water – that is approximately 200 million people and about half the number of people drinking artificially fluoridated water worldwide. Some countries have areas with high natural fluoride levels in the water. These include India, China and parts of Africa. In these countries measures are being taken to remove the fluoride because of the health problems that fluoride can cause. Fluoride is the only chemical added to water for the purpose of medical treatment. The U.S. Food and Drug Administration (FDA) classifies fluoride as a drug when used to prevent or mitigate disease (FDA 2000). As a matter of basic logic, adding fluoride to water for the sole purpose of preventing tooth decay (a non-waterborne disease) is a form of medical treatment. All other water treatment chemicals are added to improve the water’s quality or safety, which fluoride does not do. Fluoridation is unethical. Informed consent is standard practice for all medication, and one of the key reasons why most of Western Europe has ruled against fluoridation. With water fluoridation we are allowing governments to do to whole communities (forcing people to take a medicine irrespective of their consent) what individual doctors cannot do to individual patients. While referenda are preferential to imposed policies from government, it still leaves the problem of individual rights versus majority rule. Put another way: Does a voter have the right to require that their neighbor ingest a certain medication (even if it is against that neighbor’s will)? Fluoride is not an essential nutrient (National Research Council [NRC] 1993; Institute of Medicine [IOM] 1997, NRC 2006). No disease has ever been linked to a fluoride deficiency. It has never been shown that ingested fluoride is needed to produce decay-free teeth. Not a single biological process has been shown to require fluoride. On the contrary there is extensive evidence that fluoride can interfere with many important biological processes. Fluoride interferes with numerous enzymes (Waldbott 1978). In combination with aluminum, fluoride interferes with G-proteins (Bigay 1985, 1987). Such interactions give aluminum-fluoride complexes the potential to interfere with signals from growth factors, hormones and neurotransmitters (Strunecka & Patocka 1999; Li 2003). More and more studies are indicating that fluoride can interfere with biochemistry in fundamental ways (Barbier 2010). The level in mothers’ milk is very low. Considering reason #6 it is perhaps not surprising that the level of fluoride in mother’s milk is remarkably low (0.004 ppm, NRC, 2006). This means that a bottle-fed baby consuming fluoridated water (0.6 – 1.2 ppm) can get up to 300 times more fluoride than a breast-fed baby. There are no benefits (see reasons #11-19), only risks (see reasons #21-36), for infants ingesting this heightened level of fluoride at such an early age (an age where susceptibility to environmental toxins is particularly high). Fluoride accumulates in the body. Healthy adult kidneys excrete 50 to 60% of the fluoride they ingest each day (Marier & Rose 1971). The remainder accumulates in the body, largely in calcifying tissues such as the bones and pineal gland (Luke 1997, 2001). Infants and children excrete less fluoride from their kidneys and take up to 80% of ingested fluoride into their bones (Ekstrand 1994). The fluoride concentration in bone steadily increases over a lifetime (NRC 2006). No health agency in fluoridated countries is monitoring fluoride exposure or side effects. No regular measurements are being made of the levels of fluoride in urine, blood, bones, hair, or nails of either the general population or sensitive subparts of the population (e.g., individuals with kidney disease). Benefit is topical not systemic. The Centers for Disease Control and Prevention (CDC, 1999, 2001) has now acknowledged that the mechanism of fluoride’s benefits are mainly topical, not systemic. There is no need whatsoever, therefore, to swallow fluoride to protect teeth. Since the purported benefit of fluoride is topical, and the risks are systemic, it makes more sense to deliver the fluoride directly to the tooth in the form of toothpaste. Since swallowing fluoride is unnecessary, and potentially dangerous, there is no justification for forcing people (against their will) to ingest fluoride through their water supply. Fluoridation is not necessary. 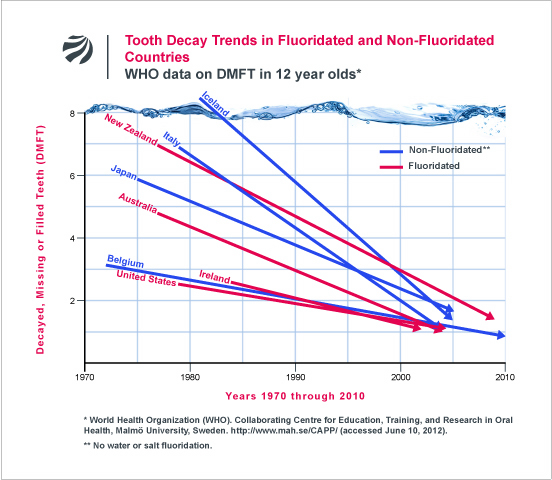 Most western, industrialized countries have rejected water fluoridation, but have nevertheless experienced the same decline in childhood dental decay as fluoridated countries. (See data from World Health Organization presented graphically in Figure 1). Fluoridation’s role in the decline of tooth decay is in serious doubt. The largest survey ever conducted in the US (over 39,000 children from 84 communities) by the National Institute of Dental Research showed little difference in tooth decay among children in fluoridated and non-fluoridated communities (Hileman 1989). According to NIDR researchers, the study found an average difference of only 0.6 DMFS (Decayed, Missing, and Filled Surfaces) in the permanent teeth of children aged 5-17 residing their entire lives in either fluoridated or unfluoridated areas (Brunelle & Carlos, 1990). This difference is less than one tooth surface, and less than 1% of the 100+ tooth surfaces available in a child’s mouth. Large surveys from three Australian states have found even less of a benefit, with decay reductions ranging from 0 to 0.3 of one permanent tooth surface (Spencer 1996; Armfield & Spencer 2004). None of these studies have allowed for the possible delayed eruption of the teeth that may be caused by exposure to fluoride, for which there is some evidence (Komarek 2005). A one-year delay in eruption of the permanent teeth would eliminate the very small benefit recorded in these modern studies. NIH-funded study on individual fluoride ingestion and tooth decay failed to find a significant correlation. A multi-million dollar, U.S. National Institutes of Health (NIH) -funded study (Warren 2009) found no relation between tooth decay and the amount of fluoride ingested by children. This is the first time that tooth decay has been investigated as a function of individual exposure as opposed to mere residence in a fluoridated community. Tooth decay is high in low-income communities that have been fluoridated for years. Despite some claims to the contrary, water fluoridation cannot prevent the oral health crises that result from rampant poverty, inadequate nutrition, and lack of access to dental care. There have been numerous reports of severe dental crises in low-income neighborhoods of US cities that have been fluoridated for over 20 years (e.g., Boston, Cincinnati, New York City, and Pittsburgh). In addition, fluoridation has been repeatedly found to be ineffective at preventing the most serious oral health problem facing poor children, namely “baby bottle tooth decay,” otherwise known as early childhood caries (Barnes 1992; Shiboski 2003). Tooth decay does not go up when fluoridation is stopped. Where fluoridation has been discontinued in communities from Canada, the former East Germany, Cuba and Finland, dental decay has not increased but has generally continued to decrease (Maupomé 2001; Kunzel & Fischer, 1997, 2000; Kunzel 2000; Seppa 2000). Tooth decay was coming down before fluoridation started. Modern research (e.g., Diesendorf 1986; Colquhoun 1997) shows that decay rates were coming down before fluoridation was introduced in Australia and New Zealand and have continued to decline even after its benefits would have been maximized (see Figure 2). Many other factors influence tooth decay. Figure 2. The number of decayed teeth in 5-year olds in New Zealand, over the period 1930-1990. The percentage of the population drinking fluoridated water and the percentage of the total toothpaste sold containing fluoride are shown on the right hand axis (Colquhoun, 1993). The studies that launched fluoridation were methodologically flawed. The early trials conducted between 1945 and 1955 in North America that helped to launch fluoridation, have been heavily criticized for their poor methodology and poor choice of control communities (De Stefano 1954; Sutton 1959, 1960, 1996; Ziegelbecker 1970). According to Dr. Hubert Arnold, a statistician from the University of California at Davis, the early fluoridation trials “are especially rich in fallacies, improper design, invalid use of statistical methods, omissions of contrary data, and just plain muddleheadedness and hebetude.” Serious questions have also been raised about Trendley Dean’s (the father of fluoridation) famous 21-city study from 1942 (Ziegelbecker 1981). Children are being over-exposed to fluoride. The fluoridation program has massively failed to achieve one of its key objectives, i.e., to lower dental decay rates while limiting the occurrence of dental fluorosis (a discoloring of tooth enamel caused by too much fluoride. The goal of the early promoters of fluoridation was to limit dental fluorosis (in its very mild form) to 10% of children (NRC 1993, pp. 6-7). In 2010, however, the Centers for Disease Control and Prevention (CDC) reported that 41% of American adolescents had dental fluorosis, with 8.6% having mild fluorosis and 3.6% having either moderate or severe dental fluorosis (Beltran-Aguilar 2010). As the 41% prevalence figure is a national average and includes children living in fluoridated and unfluoridated areas, the fluorosis rate in fluoridated communities will obviously be higher. The British Government’s York Review estimated that up to 48% of children in fluoridated areas worldwide have dental fluorosis in all forms, with 12.5% having fluorosis of aesthetic concern (McDonagh, 2000). The highest doses of fluoride are going to bottle-fed babies. Because of their sole reliance on liquids for their food intake, infants consuming formula made with fluoridated water have the highest exposure to fluoride, by bodyweight, in the population. Because infant exposure to fluoridated water has been repeatedly found to be a major risk factor for developing dental fluorosis later in life (Marshall 2004; Hong 2006; Levy 2010), a number of dental researchers have recommended that parents of newborns not use fluoridated water when reconstituting formula (Ekstrand 1996; Pendrys 1998; Fomon 2000; Brothwell 2003; Marshall 2004). Even the American Dental Association (ADA), the most ardent institutional proponent of fluoridation, distributed a November 6, 2006 email alert to its members recommending that parents be advised that formula should be made with “low or no-fluoride water.” Unfortunately, the ADA has done little to get this information into the hands of parents. As a result, many parents remain unaware of the fluorosis risk from infant exposure to fluoridated water. Dental fluorosis may be an indicator of wider systemic damage. There have been many suggestions as to the possible biochemical mechanisms underlying the development of dental fluorosis (Matsuo 1998; Den Besten 1999; Sharma 2008; Duan 2011; Tye 2011) and they are complicated for a lay reader. 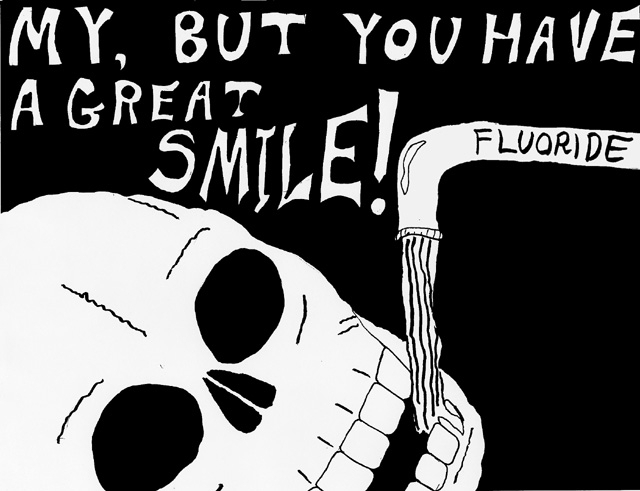 While promoters of fluoridation are content to dismiss dental fluorosis (in its milder forms) as merely a cosmetic effect, it is rash to assume that fluoride is not impacting other developing tissues when it is visibly damaging the teeth by some biochemical mechanism (Groth 1973; Colquhoun 1997). Moreover, ingested fluoride can only cause dental fluorosis during the period before the permanent teeth have erupted (6-8 years), other tissues are potentially susceptible to damage throughout life. For example, in areas of naturally high levels of fluoride the first indicator of harm is dental fluorosis in children. In the same communities many older people develop skeletal fluorosis. Fluoride may damage the brain. According to the National Research Council (2006), “it is apparent that fluorides have the ability to interfere with the functions of the brain.” In a review of the literature commissioned by the US Environmental Protection Agency (EPA), fluoride has been listed among about 100 chemicals for which there is “substantial evidence of developmental neurotoxicity.” Animal experiments show that fluoride accumulates in the brain and alters mental behavior in a manner consistent with a neurotoxic agent (Mullenix 1995). In total, there have now been over 100 animal experiments showing that fluoride can damage the brain and impact learning and behavior. According to fluoridation proponents, these animal studies can be ignored because high doses were used. However, it is important to note that it takes 5-20 times more fluoride to reach the same plasma levels in rats as reached in humans (Sawan 2010). In fact, one animal experiment found effects at remarkably low doses (Varner 1998). In this study, rats fed for one year with 1 ppm fluoride in their water (the same level used in fluoridation programs), using either sodium fluoride or aluminum fluoride, had morphological changes to their kidneys and brains, an increased uptake of aluminum in the brain, and the formation of beta-amyloid deposits which are associated with Alzheimer’s disease. Other animal studies have found effects on the brain at water fluoride levels as low as 5 ppm (Liu 2010). (For a complete listing of these studies. Fluoride may lower IQ. There have now been 24 studies from China, Iran, India and Mexico that have reported an association between fluoride exposure and reduced IQ. One of these studies (Lin Fa-Fu 1991) indicates that even just moderate levels of fluoride exposure (e.g., 0.9 ppm in the water) can exacerbate the neurological defects of iodine deficiency. In the absence of iodine deficiency, another research team (Xiang 2003a,b) estimated that fluoride may lower IQ at 1.9 ppm, while a recent preliminary study (Ding 2011) found a lowering of IQ in children drinking water at levels ranging from 0.3 to 3 ppm. The authors of this latter study reported that for each increase of 1 ppm fluoride measured in the urine there was a loss of 0.59 IQ points. None of these studies indicates an adequate margin of safety to protect all children drinking artificially fluoridated water from this affect. According to the National Research Council (2006), “the consistency of the results [in fluoride/IQ studies] appears significant enough to warrant additional research on the effects of fluoride on intelligence.” Except for an early and small IQ study from New Zealand (Shannon et al., 1986) no fluoridating country has investigated the matter for themselves. Fluoride may cause non-IQ neurotoxic effects. Reduced IQ is not the only neurotoxic effect that may result from fluoride exposure. At least three human studies have reported an association between fluoride exposure and impaired visual-spatial organization (Calderon 2000; Li 2004; Rocha-Amador 2009); while three other studies have found an association between prenatal fluoride exposure and fetal brain damage (Han 1989; Du 1992; Yu 1996). Fluoride affects the pineal gland. Studies by Jennifer Luke (2001) show that fluoride accumulates in the human pineal gland to very high levels. In her Ph.D. thesis, Luke has also shown in animal studies that fluoride reduces melatonin production and leads to an earlier onset of puberty (Luke 1997). Consistent with Luke’s findings, one of the earliest fluoridation trials in the U.S. (Schlesinger 1956) reported that on average young girls in the fluoridated community reached menstruation 5 months earlier than girls in the non-fluoridated community. Inexplicably, no fluoridating country has attempted to reproduce either Luke’s or Schlesinger’s findings or examine the issue any further. Fluoride affects thyroid function. According to the U.S. National Research Council (2006), “several lines of information indicate an effect of fluoride exposure on thyroid function.” In the Ukraine, Bachinskii (1985) found a lowering of thyroid function, among otherwise healthy people, at 2.3 ppm fluoride in water. In the middle of the 20th century, fluoride was prescribed by a number of European doctors to reduce the activity of the thyroid gland for those suffering from hyperthyroidism (overactive thyroid) (Stecher 1960; Waldbott 1978). According to a clinical study by Galletti and Joyet (1958), the thyroid function of hyperthyroid patients was effectively reduced at just 2.3 to 4.5 mg/day of fluoride ion. To put this finding in perspective, the Department of Health and Human Services (DHHS, 1991) has estimated that total fluoride exposure in fluoridated communities ranges from 1.6 to 6.6 mg/day. This is a remarkable fact, particularly considering the rampant and increasing problem of hypothyroidism (underactive thyroid) in the United States and other fluoridated countries. Symptoms of hypothyroidism include depression, fatigue, weight gain, muscle and joint pains, increased cholesterol levels, and heart disease. In 2010, the second most prescribed drug of the year was Synthroid (sodium levothyroxine) which is a hormone replacement drug used to treat an underactive thyroid. Fluoride causes arthritic symptoms. Some of the early symptoms of skeletal fluorosis (a fluoride-induced bone and joint disease that impacts millions of people in India, China, and Africa), mimic the symptoms of arthritis (Singh 1963; Franke 1975; Teotia 1976; Carnow 1981; Czerwinski 1988; DHHS 1991). According to a review on fluoridation published in Chemical & Engineering News, “Because some of the clinical symptoms mimic arthritis, the first two clinical phases of skeletal fluorosis could be easily misdiagnosed” (Hileman 1988). Few, if any, studies have been done to determine the extent of this misdiagnosis, and whether the high prevalence of arthritis in America (1 in 3 Americans have some form of arthritis – CDC, 2002) and other fluoridated countries is related to growing fluoride exposure, which is highly plausible. Even when individuals in the U.S. suffer advanced forms of skeletal fluorosis (from drinking large amounts of tea), it has taken years of misdiagnoses before doctors finally correctly diagnosed the condition as fluorosis. Fluoride damages bone. An early fluoridation trial (Newburgh-Kingston 1945-55) found a significant two-fold increase in cortical bone defects among children in the fluoridated community (Schlesinger 1956). The cortical bone is the outside layer of the bone and is important to protect against fracture. While this result was not considered important at the time with respect to bone fractures, it did prompt questions about a possible link to osteosarcoma (Caffey, 1955; NAS, 1977). In 2001, Alarcon-Herrera and co-workers reported a linear correlation between the severity of dental fluorosis and the frequency of bone fractures in both children and adults in a high fluoride area in Mexico. Fluoride may increase hip fractures in the elderly. When high doses of fluoride (average 26 mg per day) were used in trials to treat patients with osteoporosis in an effort to harden their bones and reduce fracture rates, it actually led to a higher number of fractures, particularly hip fractures (Inkovaara 1975; Gerster 1983; Dambacher 1986; O’Duffy 1986; Hedlund 1989; Bayley 1990; Gutteridge 1990. 2002; Orcel 1990; Riggs 1990 and Schnitzler 1990). Hip fracture is a very serious issue for the elderly, often leading to a loss of independence or a shortened life. There have been over a dozen studies published since 1990 that have investigated a possible relationship between hip fractures and long term consumption of artificially fluoridated water or water with high natural levels. The results have been mixed – some have found an association and others have not. Some have even claimed a protective effect. One very important study in China, which examined hip fractures in six Chinese villages, found what appears to be a dose-related increase in hip fracture as the concentration of fluoride rose from 1 ppm to 8 ppm (Li 2001) offering little comfort to those who drink a lot of fluoridated water. Moreover, in the only human epidemiological study to assess bone strength as a function of bone fluoride concentration, researchers from the University of Toronto found that (as with animal studies) the strength of bone declined with increasing fluoride content (Chachra 2010). Finally, a recent study from Iowa (Levy 2009), published data suggesting that low-level fluoride exposure may have a detrimental effect on cortical bone density in girls (an effect that has been repeatedly documented in clinical trials and which has been posited as an important mechanism by which fluoride may increase bone fracture rates). People with impaired kidney function are particularly vulnerable to bone damage. Because of their inability to effectively excrete fluoride, people with kidney disease are prone to accumulating high levels of fluoride in their bone and blood. As a result of this high fluoride body burden, kidney patients have an elevated risk for developing skeletal fluorosis. In one of the few U.S. studies investigating the matter, crippling skeletal fluorosis was documented among patients with severe kidney disease drinking water with just 1.7 ppm fluoride (Johnson 1979). Since severe skeletal fluorosis in kidney patients has been detected in small case studies, it is likely that larger, systematic studies would detect skeletal fluorosis at even lower fluoride levels. Fluoride may cause bone cancer (osteosarcoma). A U.S. government-funded animal study found a dose-dependent increase in bone cancer (osteosarcoma) in fluoride-treated, male rats (NTP 1990). Following the results of this study, the National Cancer Institute (NCI) reviewed national cancer data in the U.S. and found a significantly higher rate of osteosarcoma (a bone cancer) in young men in fluoridated versus unfluoridated areas (Hoover et al 1991a). While the NCI concluded (based on an analysis lacking statistical power) that fluoridation was not the cause (Hoover et al 1991b), no explanation was provided to explain the higher rates in the fluoridated areas. A smaller study from New Jersey (Cohn 1992) found osteosarcoma rates to be up to 6 times higher in young men living in fluoridated versus unfluoridated areas. Other epidemiological studies of varying size and quality have failed to find this relationship (a summary of these can be found in Bassin, 2001 and Connett & Neurath, 2005). There are three reasons why a fluoride-osteosarcoma connection is plausible: First, fluoride accumulates to a high level in bone. Second, fluoride stimulates bone growth. And, third, fluoride can interfere with the genetic apparatus of bone cells in several ways; it has been shown to be mutagenic, cause chromosome damage, and interfere with the enzymes involved with DNA repair in both cell and tissue studies (Tsutsui 1984; Caspary 1987; Kishi 1993; Mihashi 1996; Zhang 2009). In addition to cell and tissue studies, a correlation between fluoride exposure and chromosome damage in humans has also been reported (Sheth 1994; Wu 1995; Meng 1997; Joseph 2000). Proponents have failed to refute the Bassin-Osteosarcoma study. In 2001, Elise Bassin, a dentist, successfully defended her doctoral thesis at Harvard in which she found that young boys had a five-to-seven fold increased risk of getting osteosarcoma by the age of 20 if they drank fluoridated water during their mid-childhood growth spurt (age 6 to 8). The study was published in 2006 (Bassin 2006) but has been largely discounted by fluoridating countries because her thesis adviser Professor Chester Douglass (a promoter of fluoridation and a consultant for Colgate) promised a larger study that he claimed would discount her thesis (Douglass and Joshipura, 2006). Now, after 5 years of waiting the Douglass study has finally been published (Kim 2011) but in no way does this study discount Bassin’s findings. The study, which used far fewer controls than Bassin’s analysis, did not even attempt to assess the age-specific window of risk that Bassin identified. Indeed, by the authors’ own admission, the study had no capacity to assess the risk of osteosarcoma among children and adolescents (the precise population of concern). For a critique of the Douglass study, click here. Some individuals are highly sensitive to low levels of fluoride as shown by case studies and double blind studies (Shea 1967; Waldbott 1978; Moolenburgh 1987). In one study, which lasted 13 years, Feltman and Kosel (1961) showed that about 1% of patients given 1 mg of fluoride each day developed negative reactions. Many individuals have reported suffering from symptoms such as fatigue, headaches, rashes and stomach and gastro intestinal tract problems, which disappear when they avoid fluoride in their water and diet. Frequently the symptoms reappear when they are unwittingly exposed to fluoride again (Spittle, 2008). No fluoridating government has conducted scientific studies to take this issue beyond these anecdotal reports. Without the willingness of governments to investigate these reports scientifically, should we as a society be forcing these people to ingest fluoride? Other subsets of population are more vulnerable to fluoride’s toxicity. In addition to people suffering from impaired kidney function discussed in reason #30 other subsets of the population are more vulnerable.to fluoride’s toxic effects. According to the Agency for Toxic Substances and Disease Registry (ATSDR 1993) these include: infants, the elderly and diabetics. Also vulnerable are those who suffer from malnutrition (e.g., calcium, magnesium, vitamin C, vitamin D and iodine deficiencies and protein-poor diets. See: Massler & Schour 1952; Marier & Rose 1977; Lin Fa-Fu 1991; Chen 1997; Teotia 1998). There is no margin of safety for several health effects. No one can deny that high natural levels of fluoride damage health. Millions of people in India and China have had their health compromised by fluoride. The real argument is about whether there is an adequate margin of safety between the doses that have been shown to cause harm in published studies and the total dose people receive consuming uncontrolled amounts of fluoridated water and non-water sources of fluoride. This margin of safety has to take into account the wide range of individual sensitivity expected in a large population (a safety factor of 10 is usually applied to the lowest level causing harm). Another safety factor is also needed to take into account the wide range of doses to which people are exposed. There is clearly no margin of safety for dental fluorosis (CDC, 2010) and based on the following studies nowhere near an adequate margin of safety for lowered IQ (Xiang 2003a,b; Ding 2011); lowered thyroid function (Galletti & Joyet 1958; Bachinskii 1985; Lin 1991); bone fractures in children (Alarcon-Herrera 2001) or hip fractures in the elderly (Kurttio 1999; Li 2001). All these harmful effects are discussed in the NRC (2006) review. Low-income families penalized by fluoridation. Those most likely to suffer from poor nutrition, and thus more likely to be more vulnerable to fluoride’s toxic effects, are the poor, who unfortunately, are the very people being targeted by new fluoridation programs. While at heightened risk, poor families are least able to afford avoiding fluoride once it is added to the water supply. No financial support is being offered to these families to help them get alternative water supplies or to help pay the costs of treating unsightly cases of dental fluorosis. Minorities are not being warned about their vulnerabilities to fluoride. The CDC is not warning black and Mexican-American children that they have higher rates of dental fluorosis than Caucasian children (see #38). This extra vulnerability may extend to other toxic effects of fluoride. Black Americans have higher rates of lactose intolerance, kidney problems and diabetes, all of which may exacerbate fluoride’s toxicity. Tooth decay reflects low-income not low-fluoride intake. Since dental decay is most concentrated in poor communities, we should be spending our efforts trying to increase the access to dental care for low-income families. The highest rates of tooth decay today can be found in low-income areas that have been fluoridated for many years. The real “Oral Health Crisis” that exists today in the United States, is not a lack of fluoride but poverty and lack of dental insurance. The Surgeon General has estimated that 80% of dentists in the US do not treat children on Medicaid. The chemicals used to fluoridate water are not pharmaceutical grade. Instead, they largely come from the wet scrubbing systems of the phosphate fertilizer industry. These chemicals (90% of which are sodium fluorosilicate and fluorosilicic acid), are classified hazardous wastes contaminated with various impurities. Recent testing by the National Sanitation Foundation suggest that the levels of arsenic in these silicon fluorides are relatively high (up to 1.6 ppb after dilution into public water) and of potential concern (NSF 2000 and Wang 2000). Arsenic is a known human carcinogen for which there is no safe level. This one contaminant alone could be increasing cancer rates – and unnecessarily so. The silicon fluorides have not been tested comprehensively. The chemical usually tested in animal studies is pharmaceutical grade sodium fluoride, not industrial grade fluorosilicic acid. Proponents claim that once the silicon fluorides have been diluted at the public water works they are completely dissociated to free fluoride ions and hydrated silica and thus there is no need to examine the toxicology of these compounds. However, while a study from the University of Michigan (Finney et al., 2006) showed complete dissociation at neutral pH, in acidic conditions (pH 3) there was a stable complex containing five fluoride ions. Thus the possibility arises that such a complex may be regenerated in the stomach where the pH lies between 1 and 2. The silicon fluorides may increase lead uptake into children’s blood. Studies by Masters and Coplan 1999, 2000, 2007 show an association between the use of fluorosilicic acid (and its sodium salt) to fluoridate water and an increased uptake of lead into children’s blood. Because of lead’s acknowledged ability to damage the developing brain, this is a very serious finding. Nevertheless, it is being largely ignored by fluoridating countries. This association received some strong biochemical support from an animal study by Sawan et al. (2010) who found that exposure of rats to a combination of fluorosilicic acid and lead in their drinking water increased the uptake of lead into blood some threefold over exposure to lead alone. Fluoride may leach lead from pipes, brass fittings and soldered joints. Maas et al (2007) have shown that fluoridating agents in combination with chlorinating agents such as chloroamine increase the leaching of lead from brass fittings used in plumbing. While proponents may argue about the neurotoxic effects of low levels of fluoride there is no argument that lead at very low levels lowers IQ in children. Endorsements do not represent scientific evidence. Many of those promoting fluoridation rely heavily on a list of endorsements. 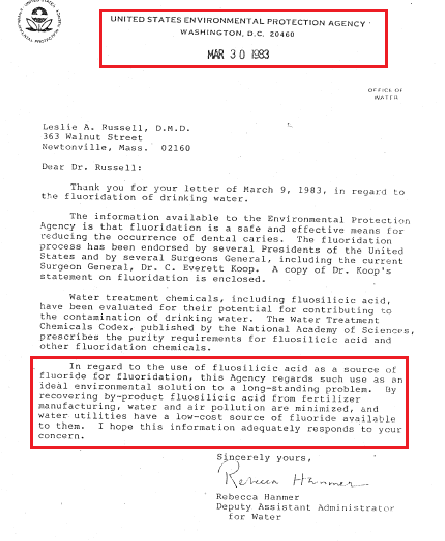 However, the U.S. PHS first endorsed fluoridation in 1950, before one single trial had been completed and before any significant health studies had been published (see chapters 9 and 10 in The Case Against Fluoride for the significance of this PHS endorsement for the future promotion of fluoridation). Many other endorsements swiftly followed with little evidence of any scientific rational for doing so. The continued use of these endorsements has more to do with political science than medical science. Review panels hand-picked to deliver a pro-fluoridation result. Every so often, particularly when their fluoridation program is under threat, governments of fluoridating countries hand-pick panels to deliver reports that provide the necessary re-endorsement of the practice. Many scientists oppose fluoridation. Proponents of fluoridation have maintained for many years— despite the fact that the earliest opponents of fluoridation were biochemists—that the only people opposed to fluoridation are not bona fide scientists. Today, as more and more scientists, doctors, dentists and other professionals, read the primary literature for themselves, rather than relying on self-serving statements from the ADA and the CDC, they are realizing that they and the general public have not been diligently informed by their professional bodies on this subject. As of July 2011, over 3700 professionals have signed a statement calling for an end to water fluoridation worldwide. This statement and a list of signatories can be found on the website of the Fluoride Action Network (see: www.FluorideAlert.org). A glimpse of the caliber of those opposing fluoridation can be gleaned by watching the 28-minute video “Professional Perspectives on Water fluoridation” which can be viewed online at the same FAN site. Proponents usually refuse to defend fluoridation in open debate. 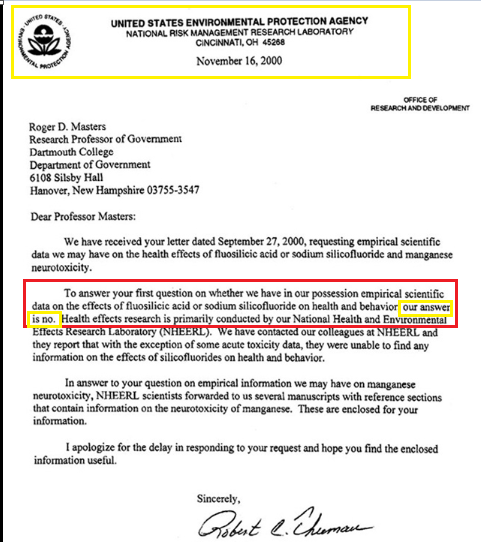 While pro-fluoridation officials continue to promote fluoridation with undiminished fervor, they usually refuse to defend the practice in open public debate – even when challenged to do so by organizations such as the Association for Science in the Public Interest, the American College of Toxicology, or the U.S. EPA (Bryson 2004). According to Dr. Michael Easley, a prominent lobbyist for fluoridation in the US, “Debates give the illusion that a scientific controversy exists when no credible people support the fluorophobics’ view” (Easley, 1999). In light of proponents’ refusal to debate this issue, Dr. Edward Groth, a Senior Scientist at Consumers Union, observed that, “the political profluoridation stance has evolved into a dogmatic, authoritarian, essentially antiscientific posture, one that discourages open debate of scientific issues” (Martin 1991). Proponents use very dubious tactics to promote fluoridation. Many scientists, doctors and dentists who have spoken out publicly on this issue have been subjected to censorship and intimidation (Martin 1991). Dr. Phyllis Mullenix was fired from her position as Chair of Toxicology at Forsythe Dental Center for publishing her findings on fluoride and the brain (Mullenix 1995); and Dr. William Marcus was fired from the EPA for questioning the government’s handling of the NTP’s fluoride-cancer study (Bryson 2004). Many dentists and even doctors tell opponents in private that they are opposed to this practice but dare not speak out in public because of peer pressure and the fear of recriminations. Tactics like this would not be necessary if those promoting fluoridation were on secure scientific and ethical grounds. When it comes to controversies surrounding toxic chemicals, vested interests traditionally do their very best to discount animal studies and quibble with epidemiological findings. In the past, political pressures have led government agencies to drag their feet on regulating asbestos, benzene, DDT, PCBs, tetraethyl lead, tobacco and dioxins. With fluoridation we have had a sixty-year delay. Unfortunately, because government officials and dental leaders have put so much of their credibility on the line defending fluoridation, and because of the huge liabilities waiting in the wings if they admit that fluoridation has caused an increase in hip fracture, arthritis, bone cancer, brain disorders or thyroid problems, it will be very difficult for them to speak honestly and openly about the issue. But they must, not only to protect millions of people from unnecessary harm, but to protect the notion that, at its core, public health policy must be based on sound science not political expediency. They have a tool with which to do this: it’s called the Precautionary Principle. Simply put, this says: if in doubt leave it out. This is what most European countries have done and their children’s teeth have not suffered, while their public’s trust has been strengthened. I regularly get asked questions about the dangers of fluoride and water fluoridation (often misspelled as flouride and flouridation). In fact, one of my employees was recently speaking with me about the sodium fluoride drops his daughter’s pediatrician had prescribed. In response to the questions and concerns, I’ve put together this article which is loaded with information about fluoride (flouride), symptoms of fluoridation, and the dangers of consuming fluoride. I hope this helps answer your questions! Children’s sodium fluoride anti-cavity supplements were never found safe or effective by the Food and Drug Administration (FDA).They were never even tested.So why are these prescription drugs allowed despite no FDA approval? Because fluoride supplements were “grandfathered in” before the 1938 law was enacted requiring drug testing.So, products on the market before 1938 were presumed safe by the FDA who allowed grandfathered drugs to be sold without any testing. Once a drug is on the market for any reason, doctors can use them to treat any disease or condition.Sodium fluoride was on the market pre-1938, but not to stop cavities and not for any medical reason. Sodium fluoride sold as a rat poison.